Tropitone and designer Fredric Doughty were inspired by the Italian peninsula city of Sorrento, the land of the sirens, to create this outdoor furniture collection. 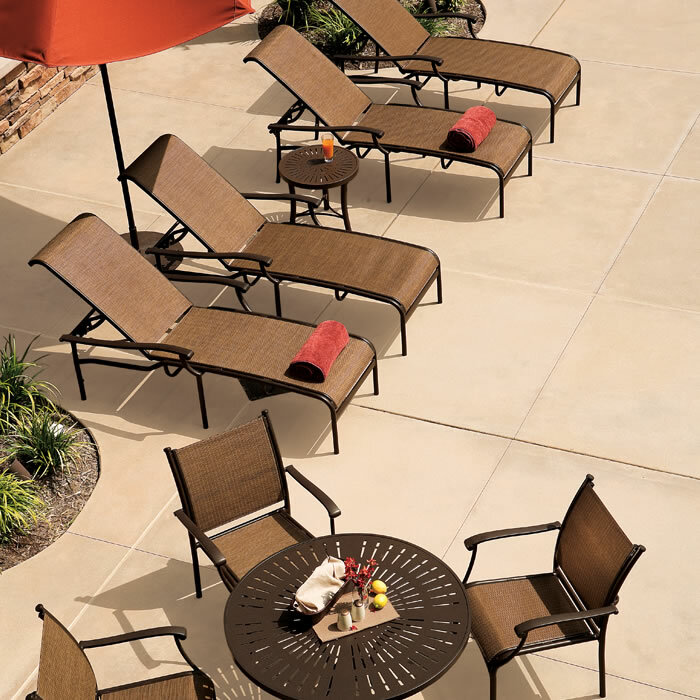 Featuring graceful curves and an extruded frame, Sorrento Relaxed Sling Seating offers the ideal aluminum patio furniture solution for outdoor spaces. Relaxed sling seating features more fabric in the seat and back surfaces for a more casual appearance and comfortable sit. Sorrento Relaxed Sling seating offers a variety of styles and sizes with dining chairs, bar stools and chaise lounges.